Mega Moolah is the software developer Microgaming’s pride and joy. It is a record-breaking progressive jackpot that is run on multiple pokies. It started out as the original Mega Moolah online pokie, but soon the progressive network was expanded to include pokies like Isis, Mega Moolah Summertime and Mega Moolah 5 Reel Drive. This wide reach of the network has played a huge role in the notoriety of this jackpot’s size. 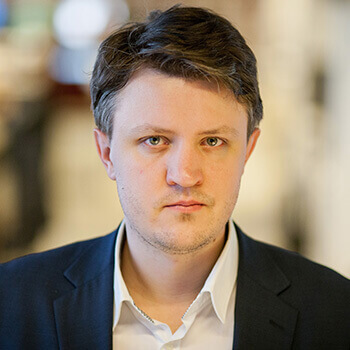 It also help that the jackpot starts seeding at $1 million. On the 25th of September it was announced that one lucky player won another record-breaking sum. A Mega Moolah Jackpot of $7 739 268 was won, making it the 39th jackpot payout since the pokie was first released. It is well above the average jackpot amount from Mega Moolah wins, which is around $5 million. The biggest ever jackpot win on this pokie was over £13 million, making it one of the biggest jackpots ever won. The Mega Moolah jackpot is awarded randomly making each and every player on the network eligible for a win, regardless of your wager amount on each spin. When the jackpot triggers, you first enter a special bonus round where you must spin a wheel of fortune style jackpot wheel to determine if you win the major or mini jackpot amount. The pokie is most popular for its massive progressive jackpot, but the game design keeps players entertained as well. Mega Moolah has been a staple of Microgaming libraries for a good few years now and this pokie does not seem to be waning in popularity at all. 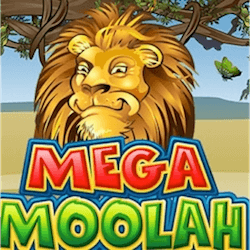 Mega Moolah has a unique safari theme with cartoony wild animals populating the pokie reels with the African savannah in the background. It has a pretty standard 5 reel, 25 payline design setup with an in-game bonus of 10 000 coins. Players can make a minimum wager of 0.25 and a maximum wager of 125 on each spin. Additional features of the pokie include a scatter symbol, as well as the Wild Lion icon which will act as a substitute symbol in any combination. The real draw here, other than the progressive jackpot, is the Free Spins game. Not only do you get to play with 15 free spins, but each winning combination you land during the free spins round will have a 3x multiplier attached to it for some incredibly rewarding play. The news of this week’s progressive jackpot winner will certainly not be the last time we hear from the Mega Moolah pokie.